Tehran and other major cities like Rasht, Shiraz, Kerman, Ahvaz, Urmia, and Isfahan celebrated Earth Hour 2016. Iran has taken part of this universal movement, switching of the lights of important elements all over the country since 2011. Earth Hour is a worldwide movement for the planet organized by the World Wide Fund for Nature (WWF). The event is held annually encouraging individuals, communities, households and businesses to turn off their non-essential lights for one hour, from 8:30 to 9:30 p.m. towards the end of March, as a symbol for their commitment to the planet. It was famously started as a lights-off event in Sydney, Australia in 2007. Since then it has grown to engage more than 7000 cities and towns worldwide. This entry was posted in environment & climate, People & Society and tagged Earth Hour, Environmental Awareness, Iran, Isfahan, People, Photos, Rasht, Shiraz, Tehran on March 27, 2016 by socialinform. 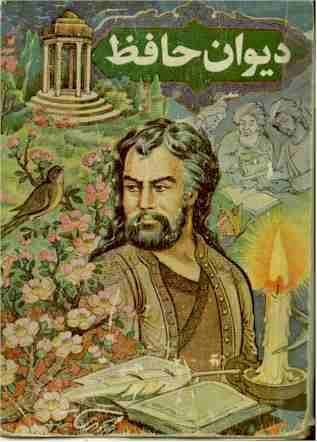 Iranian poet Hafez (1320-1389). He influenced centuries later Thoreau, Goethe, and Ralph Waldo Emerson among others. Emerson referred to him as “a poet’s poet”. The works of the 14th Century poet Hafez can be found in almost every Iranian home – more than 600 years after his death, the writer still offers an insight into his country’s identity. In Iran they say there are two books in every household – the Koran and Hafez. One is read, the other is not. To understand this joke you need do no more than join the millions who regularly throng the tomb of Hafez, the 14th Century poet of Shiraz and Iran’s national hero, as I did one recent afternoon. The atmosphere was buzzing, happy and relaxed – Iran at its best. 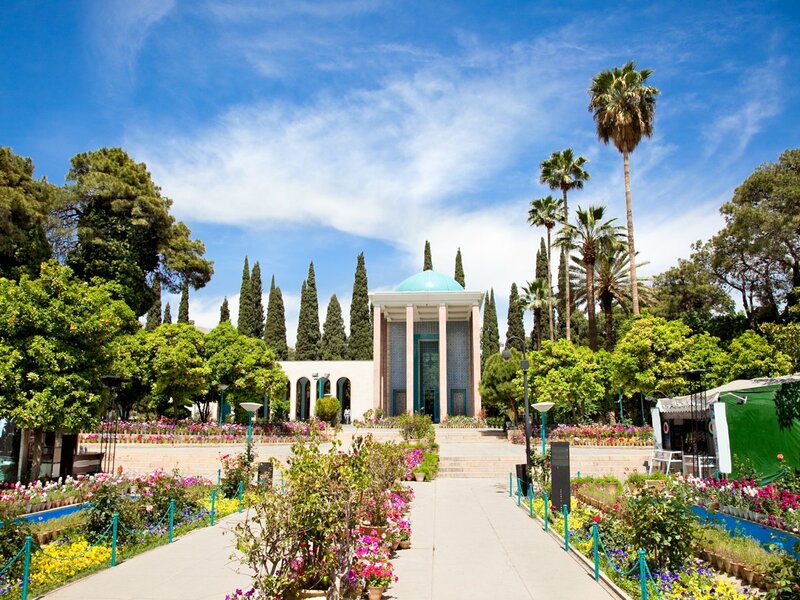 Day and night the tomb, raised up on a beautifully decorated dais surrounded by its own fragrant rose gardens, water channels and orange trees, is crowded with devotees stroking Hafez’s alabaster sarcophagus, declaiming his verses, relishing his clever plays on words. As the sun disappears from the sky and the illuminations come on round the tomb, the atmosphere becomes ever more festive. People start singing and reciting their favourite poems. Children dangle their feet in the pools, giggling and soaking up their parents’ infectious high spirits. The scene conceals the paradoxes of Iran but, thanks to the Mullah’s policy of education for all, there are some surprising changes afoot in Iranian society. More women than men now graduate from university. The birth rate has dropped so dramatically, to one child per family, that the clerics have introduced financial incentives for couples to breed more. Most refuse, saying that it is still too expensive to have more than one child. Don’t make me fall in love with that face. Sufi, you know the pace of this path. Unfortunately for the mullahs the mystic poetry of Hafez, besides lauding the joys of love and wine, also targeted religious hypocrisy. This entry was posted in Culture, music and arts, People & Society, Personalities and tagged Culture, Hafez, Iran, Poetry, Shiraz on November 12, 2014 by socialinform. TripAdvisor, a U.S. travel website that provides directory information and reviews of travel-related content, has granted a Certificate of Excellence to the tomb of Hafez in the southern Iranian city of Shiraz, Fars Province. The official document is awarded to the historical site for its beautiful architecture, its impressive atmosphere and the good behavior of the staff, the director of the Fars Cultural Heritage, Handicrafts, and Tourism Department said in a press release on Friday. Mosayyeb Amiri added that a poll conducted by the website introduces Hafezieh (tomb of Hafez) as one of the top historical sites in the world. This entry was posted in Culture, music and arts, Travel and tagged Culture, Hafez, Photos, Shiraz, Travel on July 27, 2014 by socialinform. 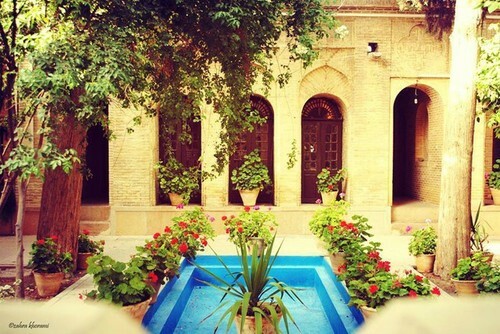 Qavam House (also widely called “Narenjestan e Ghavam“) is a traditional and historical house in Shiraz, Iran. It was built between 1879 and 1886 by Mirza Ibrahim Khan. During the second Pahlavi era, the House became the headquarters of Pahlavi University‘s “Asia Institute”, directed by Arthur Upham Pope and Richard Nelson Frye. Frye and his family also lived in the house for a while. The house today is a museum and is opened to the public. 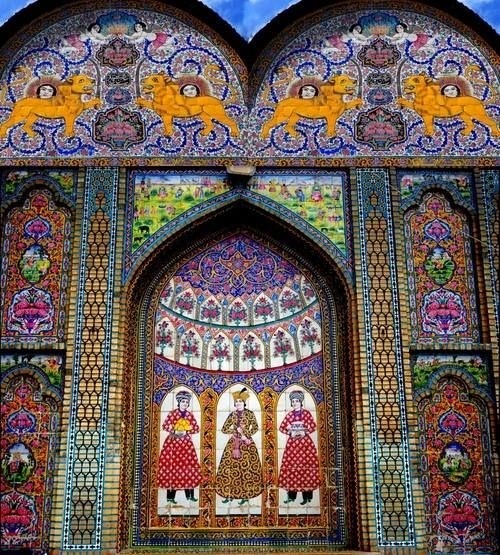 This entry was posted in Architecture, Travel and tagged Photos, Shiraz on June 2, 2014 by socialinform. This entry was posted in Architecture, People & Society, Travel and tagged Architecture, Photos, Shiraz on May 30, 2014 by socialinform.